Lake Effect Robotics have just returned from the FIRST Robotics Championship in Detroit, where we were thrilled to be part of the alliance that won the Championship! Click here for full details. 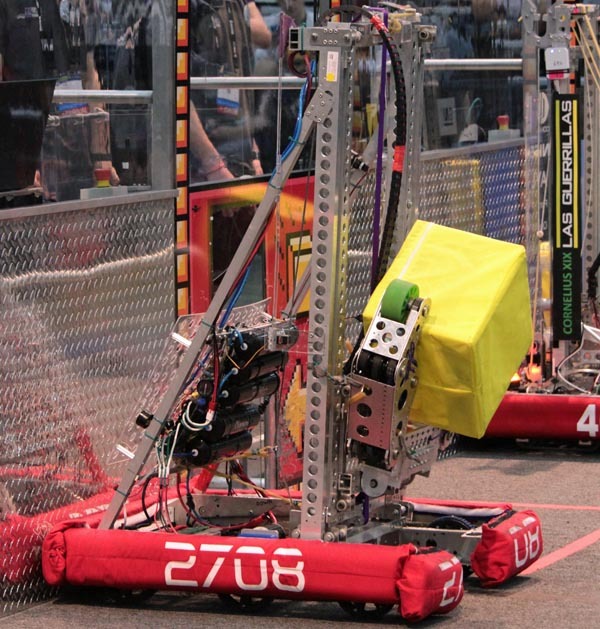 Welcome to the official online home of FRC team 2708, Lake Effect Robotics. 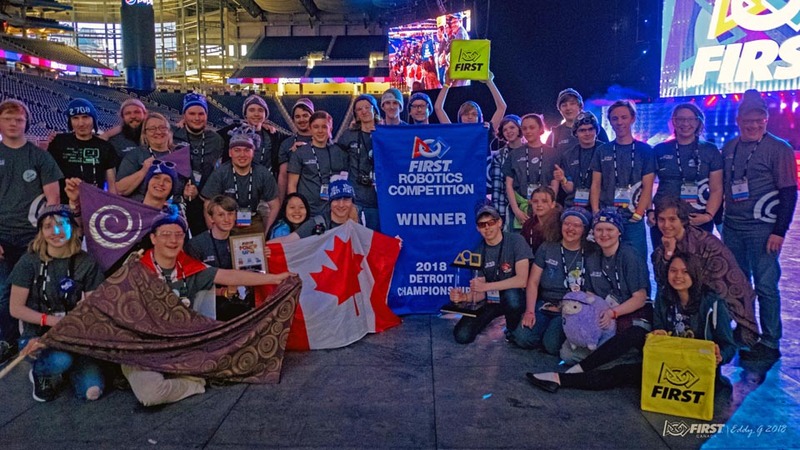 Our goal for the 2018 "First Power Up" season is to "Work together as a team to build a competitive robot, present an impressive Chairman's Award submission and continue our record of positive community involvement by building strong partnerships which will raise the profile of science and technology in the Kingston and global communities." FIRST (For Inspiration and Recognition of Science and Technology) is an international organization founded to inspire young people to pursue a field in engineering. - Dean Kamen, FIRST founder.